The Bank is the premier nightclub at the Five Diamond rated Bellagio. It is a smaller, intimate club occupying 6,600 square feet of space and the attention to detail is incredible. The foyer provides a dramatic aerial view, with tiers of VIP booths layered on top of one another. The dance floor lies at the lowest tier, slightly raised and encased in glass. Like its namesake, The Bank is a sanctuary for all things precious. The mood lighting on the ceiling and floor creates an ultra-sensory experience. The Bank is elegant, exclusive, and one of Las Vegas' most desirable places to party. Tendering a matchless service in an extreme-vigor ambiance, the diplomatically modish and startling 6,600 square foot space will make The Bank a top-notch nightspot destination. 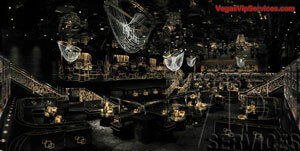 The entrance hall into the nightclub's main room portrays a vivid and remarkable in-flight angle: well-designed VIP booths layer the dance ground in an imposing multi-tiered atmosphere. A glass sheathed dance floor, placed at the lowest level will be vaguely elevated, generating a sparkling central spot in the heart of the room. 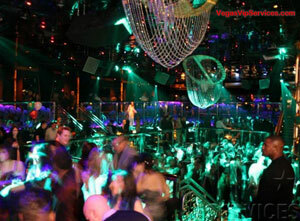 Your dazzling experience starts as soon as you enter the main room of the nightclub in the rear left area. From this point, there is a bar instantaneously to your right and going directly will lead you to several of the finest sights in the house. The Bank's blueprint is basically a layered rectangle. Humming down the rectangle on top are drink banisters and rising space which is where those outlooks dock in; you can distinguish almost all the act through your drink lying contentedly on an authentic smooth facade rather than hovering hazardously on some shelf. The Bank offers a jam-packed of occasional services from foodstuff and cocktail parcels to auditory and visual products, interior decoration, hauling, flowery, personalized gifts, and a varied array of leisure alternatives. 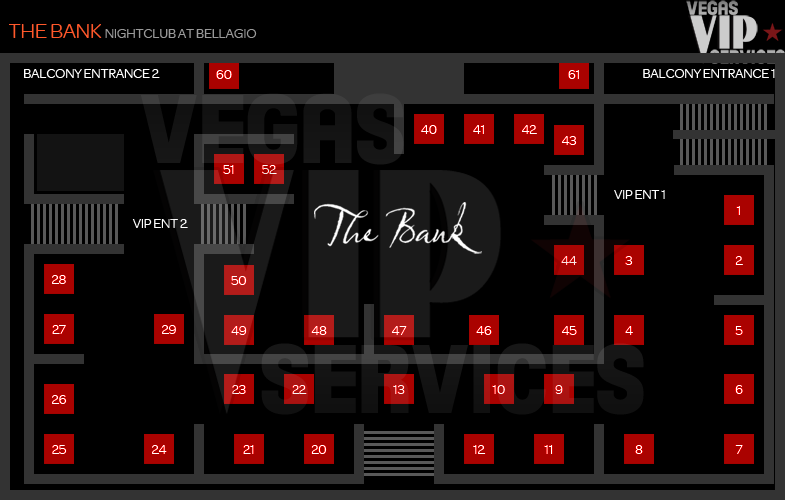 Contact Vegas VIP Services to reserve your Bottle Service at The Bank Las Vegas. Me and 3 other girlfriends visited club The Bank on Saturday, nice music, little bit of a line to get in, since we stayed at Bellagio, they let us in from VIP line, little bit of head-ache but overall, much better than LAX or XS to me.